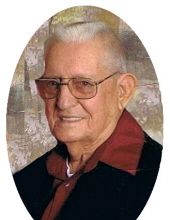 Ernie Emanuel Warman, age 92, of Hall Road, Flemingsburg, passed away Saturday, December 1, 2018, at the Fleming County Hospital in Flemingsburg. Born September 1, 1926, in Whitley County, he was the son of the late Noah and Amanda Thompson Warman. Besides his parents, he was preceded in death by one daughter, Sandra Bridges. Ernie is survived by his wife, Joyce Harris Warman; nine children, Darrell Warman of Cincinnati, Ohio, Lovinda Jones and Ray Warman, both of Mt. Orab, Ohio, Beverly Hopkins of Washington, DC, Bonita Bristoe and Donna Hector, both of Williamsburg, Ohio, Daniel Warman of New Richmond, Ohio, Hazel Michaels of Seattle, Washington, and David Warman of Loveland, Ohio, and two stepdaughters, Kelly Smith of Flemingsburg and Tonia James of Mt. Sterling. Other survivors include 24 grandchildren; 34 great grandchildren; and 2 sisters, Joyce Joines of Tennessee and Audrey Holifield of Missouri. Ernie was a World War II U.S. Army veteran who was awarded the Asiatic Pacific Theater Ribbon with 1 Bronze Battle Star, Philippine Liberation Ribbon with 1 Bronze Battle Star, Victory Medal, Good Conduct Medal, Army of Occupation Medal Japan. He worked for 72 years as a factory worker, insurance salesman, and cabinet maker and enjoyed woodworking and gardening. He was a member of the Apostolic Church of Jesus Christ. Funeral services will be held 3 p.m. Tuesday, December 4, 2018, at Northcutt & Son Home for Funerals with Pastor Vince Wright officiating and military honors presented by Morehead American Legion Post No. 126. Private interment will be in the Warman Family Cemetery on Hall Road, Flemingsburg. Visitation will be 1 p.m. to 3 p.m. Tuesday, December 4, 2018, at Northcutt & Son Home for Funerals in Morehead. To send flowers or a remembrance gift to the family of Ernie Emanuel Warman, please visit our Tribute Store. "Email Address" would like to share the life celebration of Ernie Emanuel Warman. Click on the "link" to go to share a favorite memory or leave a condolence message for the family.